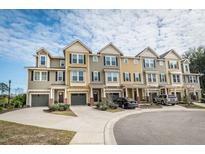 Below you can view all the townhomes for sale in the Royal Palms subdivision located in Mount Pleasant South Carolina. Listings in Royal Palms are updated daily from data we receive from the Charleston multiple listing service. To learn more about any of these townhomes or to receive custom notifications when a new property is listed for sale in Royal Palms, give us a call at 843-306-2224. Two well-appointed bedrooms on the third floor share a Jack-and-Jill bathroom, each with private sinks and vanities. MLS#19011130. Carolina One Real Estate. Convenient location located near grocery stores, shopping, rec centers, parks, award-winning schools, the beaches, Towne Centre & Long Point Rd. access to I-526. MLS#19006751. Re/Max Pro Realty. Third floor has two more large bedrooms and jack & Jill bath. Clean and ready to go! MLS#19006494. Big Realty, Llc. For convenience, the refrigerator, washer and dryer will convey with acceptable offer. MLS#19002452. Carolina One Real Estate. The first floor area is finished with bedroom/office and half bath, along with the huge 2+ car garage and covered MLS#19000159. Carolina One Real Estate. Gutters installed. Minutes to Walgreens and Urgent MLS#18025806. Carolina One Real Estate.